OpenVPN es una solución totalmente confiable y además rentable, permite realizar conexión vpn de manera fácil y sencilla. Lo he utilizado en laboratorios y a nivel corporativo y el resultado siempre es de gran calidad, ya que brinda estabilidad en sus conexiones con un alto nivel de seguridad. Cuenta con una gran comunidad que resultan de gran ayuda al momento de presentarse algún inconveniente bien sea en su implementación o en su uso diario. El agente no consume prácticamente nada de recursos una vez instalado, y además se encuentra disponible para dispositivos móviles lo cual es genial. Tal vez la interfaz la cual es bastante simple, tal vez demasiado simple, seria bueno que se le diera un retoque y sea un poco mas intuitiva. Algunos que otros inconvenientes al momento de reconectar después de que el equipo sale de invernación, pero nada de gran impacto. Si lo que busca es una solución VPN que sea rentable, segura y muy estable, entonces OpenVPN es la solución que necesitas, ya que cuenta con todo esto, y es muy fácil de configurar y usar, al igual que esta disponible en múltiples plataformas. Con OpenVPN puedo contar con conexiones VPN de gran calidad de manera rentable y sin realizar grandes procesos de configuración, además que funciona excelente con pfsense. "Uno de los Mejores Clientes VPN"
Open VPN sin duda alguna es un cliente VPN que cumple con todas mis expectativas, ya que me permite realizar conexiones VPN de manera rápida y sencilla, sin necesidad de realizar procesos engorrosos que puedan limitar el desarrollo de mis actividades. La instalación y configuración es sumamente sencilla, solamente doble click en el instalador y seguir los pasos del asistente, y una vez instalado, el cliente ocupa muy poco espacio en disco y al ejecutarlo no consume gran cantidad de recursos, lo cual genera un impacto muy bajo en el rendimiento del computador desde donde se utilice. Cuenta con aplicaciones para dispositivos móviles en los diferentes sistemas operativos existentes, lo cual me permite tener acceso a la red corporativa desde cualquier de mis dispositivos. Hasta los momentos no hay nada que me desagrade de Open VPN, en realidad cumple a cabalidad todas mis expectativas. Aunque si me gustaría que contara con la opción de poder seleccionar múltiples perfiles desde la interfaz de conexión. Mi recomendación es utilizar la aplicación ya que es una excelente opción para conexiones VPN a un muy bajo costo. Me permite tener acceso a la red corporativa desde cualquier de mis dispositivos, bien sea un computador o un dispositivo móvil. "All in all a really good VPN service. " Simple management. VYOS implementation is GREAT. Running it as VM works perfectly. Been using it for both private pvn, enterprise vpn and connecting to vpn trough other countries for several years and I love how easy it is. Mobile support is also really great. There are also a huge benefit that it's open source and community good support is also nice to have. Windows client is sketchy. Doesn't reconnect as it should. Drops out from time to time. It those things can be fixed, the product would be absolutely perfect. But it's not a big issue. Reconnecting after sleep mode would be nice. Reconnecting after drop out would be REALLY nice. There are still some effort that can be made on the different clients. There are not much else I would reccomend. I've tried several others, like checkpoint mobile and Cisco and it's not better than openvpn. OpenVPN is faster, easier and has more features. Per now using it instead of MS Direct access. Easy for outside clients to connect if you want that, since you have a downloadable client. It allows me to fix problems for my users and controll my infrastructure when I'm out traveling, and that is the thing I appreciate most. "A solid, secure VPN solution"
- The OpenVPN Access Server AMI is a great out of the box VPN solution for your AWS VPC. - We were able to easily connect to our Active Directory in AWS to the OpenVPN Access Server and enable 2-factor requirements via Google Authenticator. - Supports PAM, RADIUS, and LDAP. - This solution replaced our clients deprecated PPTP solution. OpenVPN is consistently rated among the most secure VPN solutions which is why we went with it. License management on the openvpn.net could be improved in one regard: allowing users to deactivate and move a license between servers. As you spin up an instance you may need to reconfigure our move your license to a newer server and that requires involving OpenVPN Support to reissue your license. This can take a few hours before they respond but typically they are pretty fast so not a huge negative for us. Simple way to connect to our AWS VPC with 2-factor authentication tied to our Active Directory. 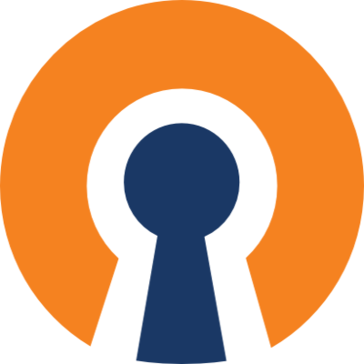 OpenVPN is an open-source protocol that allows secure online access from a point to a point completely free of charge. The main advantage of this protocol is that it is compatible with most available operating systems and enables very secure communication with the server via AES protocol, which encrypts our traffic to prevent data leakage. Also worth mentioning is the built-in killswitch, which stops the entire network when OpenVPN stops working to ensure that no data is lost or stolen. Creating your VPN server for users who have no experience with IT daily can be quite complicated. If you want to create a secure VPN server, you should use OpenVPN protocol, which is used by most VPN providers, especially since it is available for free. Thanks to using OpenVPN I created my server thanks to which I can safely connect to the backup server. "Open VPN - Create your own VPN now"
OpenVPN provides us with a set of mechanisms that allows us to build a secure VPN network - it authorizes, authenticates, encrypts and ensures the integrity of the transmitted data. In addition, it protects the server (hub) against DoS attacks and the virtual network against the injection of foreign data. + good support in Linux, Windows and Mac, as well as the ability to advertise single routes. - The interface could be more friendly. If you want to create your own secure vpn, you should consider trying openvpn because it has a free license allowing you to connect to 2 devices at the same time. Thanks to OpenVPN I can safely use the Internet on all devices without worrying about data leakage. OpenVPN AS is inexpensive comparing to most of other vpn solutions. It is easy to setup and maintain. It worked without any troubles for 10+ years in different setups. Antiquated licensing system that does not work well in cloud environment. We have to manually reset license every time we start instance from scratch after updates. As result we have two sets of instances running and two bought two sets of licenses. There is no builtin support for Okta, Onelogin etc. OpenVPN is a mature product that does both server and client sides right. If you do not need integration with Okta or similar services OpenVPN is a better solution than all other cheaper alternatives and I tried many of them. It is also easier to maintain and use than more expensive products. I use OpenVPN AS to provide access to internal resources on AWS to developers. "The free VPN software for people with knowledge"
OpenVPN it's a free software that works really good. It's efficient, secure, and the clients can be of any operative system, all are compatible. You can tune totally your configuration and there are lots of possibilities. It's good for people that wants to create a customized VPN tunnel. It's really hard to start with OpenVPN, there are much options and isn't easy to get it up. The desktop application of mac don't work properly. It's the best alternative to use in a company with linux servers. It's compatible with all operative systems. Once it's installed in the clients, it runs in background without doing any further work. We use to connect to the work computers in a safe way. With OpenVPN we can create a private tunnel from our laptops to the firewall server of our company and keep connected to work computers in a safe way. It just works! I love how easy it is to access my server and get VPN access going on any device, laptop, tablet, or smartphone. It's easy to install and configure, and I never have any problems with it. Configuring and updating my own server is super simple. In my experience, I've always had some difficulty setting up hardware VPN appliances, but OpenVPN was no-nonsense. I also love that because it's server-based, I have the ability to virtualize the appliance and take advantage of all the benefits that gives me. There's nothing really I dislike. I'm very content with the way OpenVPN works for my company. Offering VPN access on a wide range of devices from smartphones to laptops. We have access back into our network no matter what device we are using. "More security and digital privacy"
Today companies are looking for more security and digital privacy, OpenVPN is an open source encryption protocol that provides both, is powerful and flexible and is compatible with Linux, Windows and Apple, I use it to connect remotely to my company's network and configure users and accesses. Sometimes it becomes a bit slow and is a bit technical and complex for novice users. It is a free service but complicated to use without prior knowledge, in a company is very useful because it offers options to configure and modify the code, but for domestic use I recommend paying for a simpler vpn service. OpenVPN helps me control the connections and data access in my organization, we have modified it to fit our needs and it has improved the monitoring of remote workers remarkably. "It is not like other VPN services but something more complex"
OpenVPN is a very interesting software, it is not like other VPN services but something more complex, it allows me to connect remotely to my company's network securely through tunnels with SSL encryption, it also allows me to configure proxies and network access restrictions to remote workers. There is nothing that bothers me about this software, it's very functional and secure, and it's open source and free. It can be modified without problems because it adapts to the needs of the programmer. It allows me to work from home with access to my company's servers and information, in our company there are many employees who work remotely and with this software we can create tunnels with limited access to the necessary data. OpenVPN offers users a very simple and secure VPN option that is both economical and quick to install. Users are able to easily install it on their client devices. The update process is very poor. It is very hard to determine the name of the version to use with 'wget' when updates are available. There is no single place to look. Adding users to security groups in AD does not easily translate to VPN access rights. Before using OpenVPN be sure you understand limitations around group membership and extra requirements that are not as easily implemented. We typically find customers who have open RDP ports to their network and we can quickly secure that by using OpenVPN. "Affordable, easy to setup VPN solution for SMB"
Ease of setup and ease of install are the best features. Also it's nice to be able to tie security permissions to specific active directory groups. very easy to install updates and manage on a server. one of our least troubleshot applications across the organization. also being provided simple rpms and packages further allows for ease of use. confusing website layout and lack of insight into the vpn connection experience. would be good to have a verbose setting on the client to see any potential connection issues. also phone or chat support to get direct response would be awesome to get immediate response. They offer non-profit and educational discount if you ask. Other open-source VPN's out there don't have the feature set or support available compared to OpenVPN. If you look at the competitors like WireGuard or NordVPN, that lack in one or both of the places that OpenVPN excels. affordable vpn that is easy to setup and manage. even our help desk and student assistants that joined can easily manage users, troubleshoot issues. this saves us in labor time and labor costs so our information systems team can focus on other initiatibves that impact the company's bottom line rather than troubleshooting vpn issues or worrying about costs. "Protects data transfers and communications." OpenVPN is an open source software and not a VPN provider, with this software you can create encrypted virtual private network tunnels, passes completely firewalls, is very easy to use, the encryption is excellent (TSL/SSL) and protects data transfers and communications. OpenVPN does not offer a user support service which makes it difficult to solve problems even though it has a large global support community and that helps a lot. It is a software with high levels of security and encryption, is free and easy to use. Having a powerful 256-bit encryption helps me to keep my connections anonymous and secure, and provides webrtc protection. "The best for protect you"
There are a few things that I like about open vpn, it is a free programming and you can make alterations to the code, the wide assortment of servers that it offers so clients can attempt a few and consequently remain with which we feel more good exploring the Internet, it doesn't measure much, you can get it as an augmentation of chrome, download in the playstore for gadgets with android. In phones it is so easy to utilize that just a single picks the server and that is it. The help on your site is exceptionally valuable. It truly is great, for code changes on the off chance that it is prescribed to have a propelled learning of programming on the grounds that every client has diverse inclinations and at times they have to alter the product details to fulfill their necessities. It's not super easy to use but rather it works exceptionally well and is totally free. Difficult to beat in the VPN portion, given expense/security/dependability. We use to associate with the work PCs safy. With OpenVPN we can make a private passage from our workstations to the firewall server of our organization. "Solid basic low cost solution"
OpenVPN has provided us with a solid low cost VPN option giving our user the "in office" experience they are looking for when they are working remotely. We are a small company with a small IT staff. Rolling out OpenVPN to our users was simple and painless. I would like if it the GUI was able to do everything you can do in the command line interface. For those of us weak in Linux working with the command line can be a challenge. The OpenVPN virtual appliance allows us to give users an "in office" experience when they are working remotely. "Best software to create VPN tunnels." OpenVPN is the best software to create VPN tunnels, is easy to modify because it is open source and is very secure and reliable, I also like to be able to access my network from my mobile or any other device. It does not accept some proxies and is quite difficult for novices to understand. OpenVPN is highly recommended to work remotely, very secure and open source so it can be modified without problems, it is also free and relatively easy to use. OpenVPN helps protect us from hacker intrusion and gives us access to our network remotely and work from home. "Very segure an easy to use." Open VPN is a great VPN (Virtual Private Network) server that runs on Windows and Linux, is very popular for its security, for being an open source and because it is really very easy to use. Not all proxies in the world are compatible although most and sometimes latencies can be very high. Open VPN is a free software even more secure than other expensive services, is very easy to use and works with almost any proxy. We have very sensitive data on our computers and thanks to OpenVPN and its encryption we can navigate and communicate securely through the web. "Simple and powerful VPN without the hassle"
Ease of deployment, ease of maintenance, simple to on-board new users. Administration of the system is straightforward. Incredibly responsive support. In a cloud environment where you bring your own license, a small change to the underlying instance (stopping and starting the host machine) requires a new activation key. Thankfully, their support is incredibly responsive, however, would be lovely not to require this step. A two user license is available for free. I would encourage anyone considering this product for use in production to give it a look. Simple and secure remote access. Bastion host for cloud environments. There are several things that I like about open vpn, it is a free software and you can make modifications to the code, the wide variety of servers that it offers so that users can try several and thus stay with which we feel more comfortable navigating the Internet, it does not weigh much, you can get it as an extension of chrome, download in the playstore for devices with android. In cell phones it is so simple to use that only one chooses the server and that's it. The support on your website is very useful. It really is very good, for code modifications if it is recommended to have an advanced knowledge of programming because each user has different preferences and sometimes they need to adjust the software specifications in order to satisfy their needs. As recommendations, if they are companies that are looking for that they are not limiting access to websites, they want to browse freely on the web. download open VPN, has a variety of servers, Japan, Great Britain, Korea, USA, Italy, France, China, Spain, etc. It is very fast and easy to use, you can use it comfortably from your cell phone or a PC. Work in any OS. Open VPN has solved problems in the company, as are the restrictions that you have to access internet pages that have been blocked for the IP of the country where we are located. OpenVPN is more secure than other VPN services because it has an SSL encryption protocol, is open source, allows us to connect remotely from any device to the company network, despite being free has no ads and is ompatible with most proxies. It's a complicated thing to use and it takes a while to explain well how to use it. The best thing about OpenVPN is that it is open source and can be modified to fix any error. It allows us to work remotely more securely, being able to access my company's servers from home is very helpful and saves me a lot of time, also serves me to access internal company websites from any device. "OpenSource solution - minimal costs"
Open-source - low minimal cost to deploying system. Support standard industry security features and works with wide range of clients. User management and generating user certificates requires more time. A little more complex for my non- Linux - Helpdesk Admins to manage system and troubleshoot. Great for company's with Linux admins or company's with limited budget. We use this to secure user VPN connections to HQ and other locations enabling users to work remotely. "Great VPN option for the Cloud"
I like that it's easy to install in AWS. Easy to configure options, add users, and that it has two factor authentication built in. You can configure the system to allow connections on common ports so that you're able to connect from pretty much anywhere in the world. You can also setup certain public IPs to route through the VPN in order to make use of static IP whitelisting. That you cannot reset someone's two factor authentication via the web interface. Also, that you cannot reset locked users via the web interface. Secure access to our sensitive environments and enabling remote employees. The features are mostly all there and quick to setup and maintain. I like controls I can use within the system and the flexibility. The price is the main selling point. The Setup for this is going to be hard for main sys admins out there. The level of networking knowledge required to get it working correctly might be hard for many. The two factor authentication implementation is poor. This should be much more configurable, and self servicing for users. LDAP/Active Directory authentication could be better. I would like to see a profile for each user that signs on so 2FA can get reset or custom settings can be applied. follow the Sonicwall SRA/SMA model here would be preferred for more power and flexibility. You should have basic linux and networking knowledge before working with this in production. Play with it all you want otherwise. Just VPN connectivity for internal users. I will occasionally configure a VPN for a consultant/customer that only allows them access to certain systems. That it's free, and more secure than older Cisco products using a <2048-bit key. Don't need any special hardware, and old server will do with a few NIC cards. I highly recommend from an admin/power user perspective, as you have an extremely secure & reliable VPN tool here that is self-healing and can work well in production environments on a shoe-string budget. User interface is very minimal, the Windows client has been improved but is a little confusing for some users since it resides in the system tray and relies on alt-clicking to connect, etc. It's not super user friendly but it works very well and is completely free. Hard to beat in the VPN segment, given cost/security/reliability. Network security and remote access. Site-Site VPN with no specialized hardware or monthly fees. Works well across multiple platforms, allows me to connect remote Mac clients, Windows 10, and even Linux all through one piece of software. "Allows you to create encrypted tunnels to remotely access a network or server." OpenVPN is a powerful software that allows you to create encrypted tunnels to remotely access a network or server, is very useful because it allows me to access files and documents remotely and with total security that are not at risk. In the beginning it is a little complicated to learn to use it but as you work with it you start to understand it better. It is an excellent software for configuring secure private connections, highly recommended. In my work it helps me to access from my home to documents that are only in the network of my company, I have access to important data with total security. It's rather stable, assuming you always remember to use IE to manage your server. Support can be slow in resolving bugs. Also, if you use Chrome to manage, it may wipe out settings you have to key back in by hand. Be ready to have some work to do the setup. But once up, it runs pretty seamlessly. The system is easy to setup and easy to configure, server our corporate solution perfectly! The option to configure a whole site for all profiles created within that site. Sometimes it disconnects from the network automatically, so have to manually re-connect it, though we have found a way to not disconnect and a few workarounds. We also use it for connecting to the office vpn, easy setup for vpn profiles and easy to manage. We are connecting the Dr.'s database to the Dr's website, so that other referring docs can see patients stats. Also patients can log in and update their info and set appointments. "Best VPN software for little companies"
OpenVPN it's a little but powerful program to create VPN tunnels from your computer to another, or from a computer to a full network. It's totally safe, and if you scale the server, can deal with a big number of connections. At difference with other commercial softwares, OpenVPN needs that you work in the configuration during a few hours, isn't install and ready, and there are some options that are a bit difficult to set. OpenVPN it's the best opensource alternative, it's free and works good for small-medium companies. We use to connect from our homes to the network of the work, using as a server a firewall that redirects the traffic. "Reliability and ease of use"
OpenVPN has been reliable over the many years we've used it. We haven't had any issues with upgrades either! Allowing people to work remotely and still maintain security around our applications without having to whitelist everyones IP individually. I love that OpenVPN takes the complexity out of establishing remote connections and makes things super-easy, reliable, and a breeze to troubleshoot. Under macOS, I'd prefer the OpenVPN client to be baked into the operating system, rather than a separate user-mode application, so that connections can be established BEFORE login occurs. The server portion is free and open-source, easy to implement, and the clients are mostly straight-foward, though may not fit your enterprise deployment strategy. Ease of deployment and support. Runs well on all tested devices. Nothing, haven't had any issue using/deploying. Secure remote access to all devices. Easy to get working in difficult network environments over a single TCP or UDP port and speeds surpassed a dedicated $3000 VPN appliance while running from a modest VM. "Easy to setup and works as expected"
Having the ability to limit users on what subnets then can connect to. Older versions would drop connections always stating that I was logged on from another location. Also, the VPN would start during boot up when I would have it set to not start at boot. Private external access to our internal networks. "VPN that is reliable and fast." The setup isn't easy and must use the application on all devices. iOS and Android devices must open app to start and end VPN connection. Make sure you make nots if the setup information on this product. It's a bit difficult to setup on mobile devices and needs a separate app to use. Making sure that when on a public connection that our data stays safe. "Works fine for what I use it for. No problems." I like that I can simply connect to the Open VPN. Once I'm connected I have no problem accessing our database remotely. It doesn't disconnect while I'm using it and it doesn't even seem to slow down the data base. I dislike that I have such a long password and that there doesn't seem to be an obvious option for having the password stored in the system. I save the password in MS Word and then have to copy paste it to connect. Seems like a waste of time. When I need to work out of the office and still access the data warehouse I use this tool. It allows me to be more flexible in my work location. Reasonable price and easy to deploy. I like that it integrates with LDAP so easy to roll out to users. Admin screen is easy to use and logical. Needs mixed mode authentication, I have both AD and non-AD users. Also would like for server updates to be much easier. The product needs a way to deploy updates to the clients. Very straightforward product and easy to implement. open vpn is easy to install and configure. we use it with about 20 users. An automated server update would be desirable. We were able to quickly and easily establish a connection to the network to the company. all the things that can be manually configured. The documentation I poor on the OpenVPN docs. Check the list of requirement you need for a VPN server, make sure it can be scaled. "In combination with Sophos UTM SSL VPN"
Easy to configure on mobile devices, you can easily just email yourself the ovpn file or if you have a tablet device, just browse to the UTM User Portal and grab it yourself. I haven't used OpenVPN with any other vendor except for Sophos, but if it works this way with other vendors then it is a great solution. Simple connection once installed with the automated configuration. While some do complain about it, I like that it prompts for credentials every single time you try to connect with it, but once connected you can stay on for days depending on the policy. Why is this important, because PPTP and L2TP/IPsec systems usually have a method to remember credentials. To me this a huge security problem, if a laptop was stolen, or breached, these credentials exist without any sort of effort by the criminal entity. Having to manually up the configuration each time a change is made on the UTM configuration, but it would seem there is no way to avoid that. If you need a reliable connection to your office network and you are running a Sophos UTM with UTM 9.x or even the XG Firewall SF-OS v16+, then OpenVPN is the product Sophos utilises for its SSL VPN. It is easy to deploy to users as they can just login to the UTM User Portal with their own Active Directory credentials (or local creds, depending on your auth methods) and download the full installer with their personalised configuration, or an update file if anything changes. The only downside is that this software/program will not run at time of login from a Windows laptop, so if you need scripts from a domain environment to run before or during login, this wont solve that issue. With Crypto Ransomware becoming more and more prevalent, and actively breaching Remote Desktop Services and other remote applications that SMBs and Enterprise organizations use, having a secured VPN is critical to keeping these resources private and removing the need for any sort of DNAT. "A great VPN solution for multiple network and client types!" We like that OpenVPN is... well... open. It works with Mac, Windows, iOS, Android, you name it. We're not vendor locked. The support offering is a little light, but given the upside and cost, that's completely understandable. We have a lot of mobile users around the US, getting them connected using an SSL, TCP, UDP adaptive VPN solution is critical given the types or networks our team is accessing from. "Unique product that add value to our customer proposal!" Flexibility, scalability, redundancy capability and LDAP integration. Windows client is sometime buggy, better than before but still need some improvement for first time users (inexperienced users may require assistance from helpdesk initially). Just make the switch, you'll be convinced soon enough! We use this for all our managed services solutions, allowing our customers to access their infrastructure securely, with any device and using their central authentication system (AD). Based on solid, widely used open source technology, so we can extend as needed. But has additional GUI management that makes life easier. Ships as easy to maintain Ubuntu VMware image. MS-windows client occasionally glitches and needs re-installation (but this could be because Microsoft is a rubbish OS). Not flashy but does everything our organisation requires. Extremely reliable, all issues related to the bad quaility software the majority of our clients are forced to use (i.e. microsoft OS). "OpenVPN is Great for Anyone looking for a VPN solution"
I'm a big fan of the administrative UI that simplifies the management process as well as the lightweight footprint and install time. Really not much to dislike about the product, you're getting exactly what you pay for and more. OpenVPN has solved our need to access secure cloud systems from different remote locations without exposing any of those systems directly to the web. OpenVPN provides the ability to activate MFA for an installation.This is very useful for high-security environments. Provide secure access from client computer to private network in the cloud. It allows us to improve security to the cloud by limiting firewall rules. "OpenVPN makes it easy to deploy"
"Secure VPN for a University"
I like the freely availability of OpenVPN client to most operating system. Also the web interface is very easy to configure. The web interface is not able to reach a top grade with Qualys SSL Server Test, and this is against our security policy. Giving University personals and students access to internal servers. It seems to separate VPN traffic from Internet traffic so as to utilize the local IP arrangement. I can't think of anything I dislike about this tool! "Works great, easy to setup!" The best things about OpenVPN are the simplicity and broad client support. It is a very cost effective solution to setup and run, doesn't require a lot of maintenance, and requires very little hardware. I don't any issues that I would say I "dislike" about it. Secure remote access for users. * We monitor all OpenVPN reviews to prevent fraudulent reviews and keep review quality high. We do not post reviews by company employees or direct competitors. Validated reviews require the user to submit a screenshot of the product containing their user ID, in order to verify a user is an actual user of the product. Hi there! Are you looking to implement a solution like OpenVPN?